This is a Maya tutorial in which Mike Hermes demonstrates how to create animations with this software using Rigidbodies, so it is a tutorial for beginners. Mike is creating a surface, adds a cube as a domino-object and duplicates it a few times (pressing Ctrl+D key). 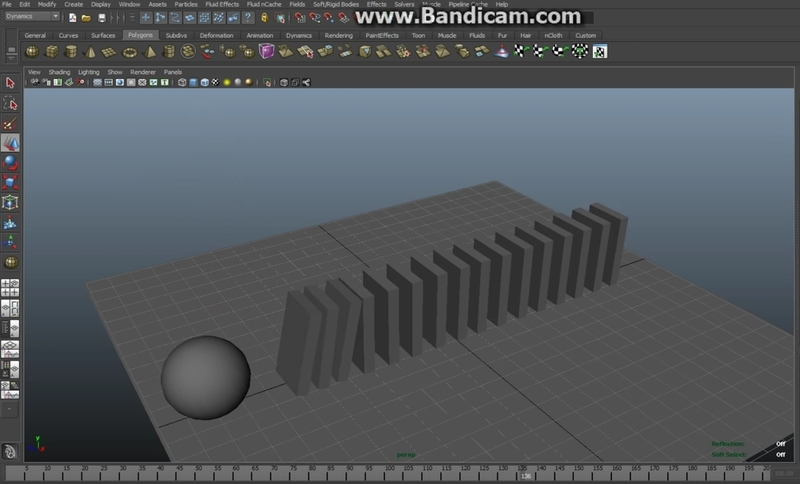 After that he is adding a sphere to the scene and positions it above the domino stones. The tutorial is really pretty basic but if you are new to Maya it gives you a good start for understanding the environment, gravity and physics.